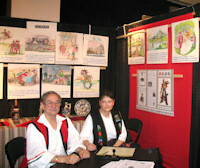 May 2010 - Hungarian Exhibit wins Minnesota's “Festival of Nations Award of Excellence - Cultural Exhibits” Minnesota’s largest ethnic celebration, the events of the Festival of Nations took place at the River Center in St. Paul between April 29 and May 2. It was the 78th Anniversary of this exciting carnival, organized by the International Institute of Minnesota. Taking pride in the richness of diverse cultures in our community the participating nationalities with 90 ethnic groups presented their delectable foods, brilliant folk dancing, fascinating cultural exhibits, folk art demonstrations and an international shopping bazaar. 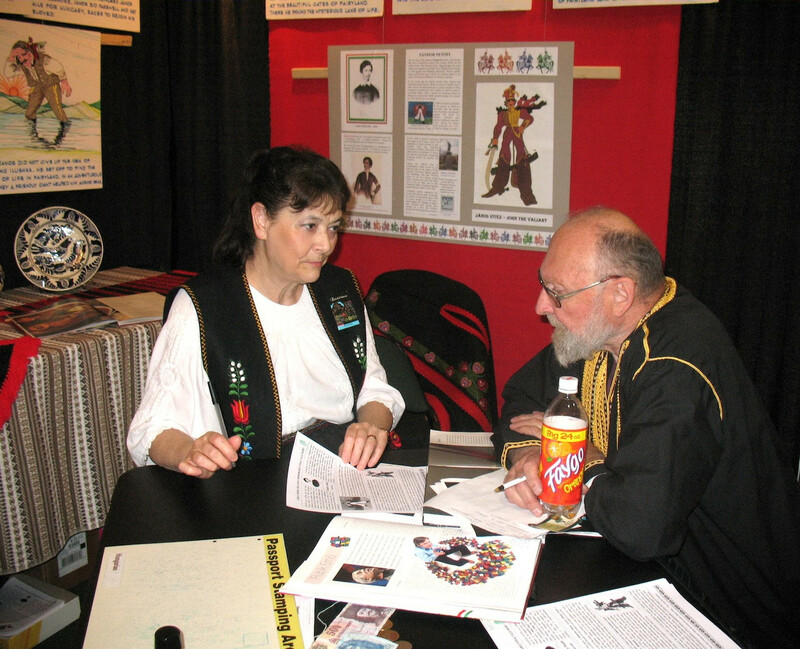 The Hungarians (Minnesota Hungarians) have been participating in the Festival of Nations from the beginning in the 1930s. Our current chair coordinating contact with the FON is Dr. Tibor Gallo; we present the Hungarian Café/Kitchen (Chair Rozy Nemeth), the Cultural Exhibit, (Chair Agnes Fulop), the Vidéki Dancers (group leader Dennis Fritz) performed among other dance groups and - as a folk art demonstrator - the Hungarian Chess Master, Laszlo Ficsor played with visitors. The menu of the Hungarian Café attracted many visitors with the Stewed Beef over Dumplings, Hungarian Goulash soup, Sautéed Mushrooms w/paprika over Dumplings as a vegetarian dish, Pickles. For dessert they offered Dobos Tort, Chocolate Cream Tort (Rigó Jancsi), also Coffee and Milk. The Vidéki Dancers performed on the Atrium Stage and the Main Stage with their singers aside. Preparing the Hungarian Cultural Exhibit - following the given theme - Agnes and Laszlo Fulop drew a series of pictures, based on Emmy Rona drawings, illustrating key scenes of Sándor Petôfi’s poem-story: János Vitéz, (John the Valiant). The main folk figure, János (John) became a hero in the fairy tale. The Fulops assembled an additional poster about Sandor Petofi, a brilliant Hungarian poet, who in his times became real hero: in his writings he inspired Hungarians for the desire of freedom and human equality. He himself fought and died for his ideas in the revolutionary war and Freedom Fight of 1848-49. Congratulations to Agnes and Laszlo Fulop for their work designing and making the exhibit and to Tibor Gallo for helping to set up the exhibit; to Rozy Nemeth for managing the Café, its successful menu and deliciously prepared food; to the Vidéki Dancers led by Dennis Fritz and singers for their stage presentation and to Laszlo Ficsor for combining teaching with outstanding entertainment as Chess Master. Special thanks went to all participants who worked in the Café/Kitchen cooking and serving the visitors. 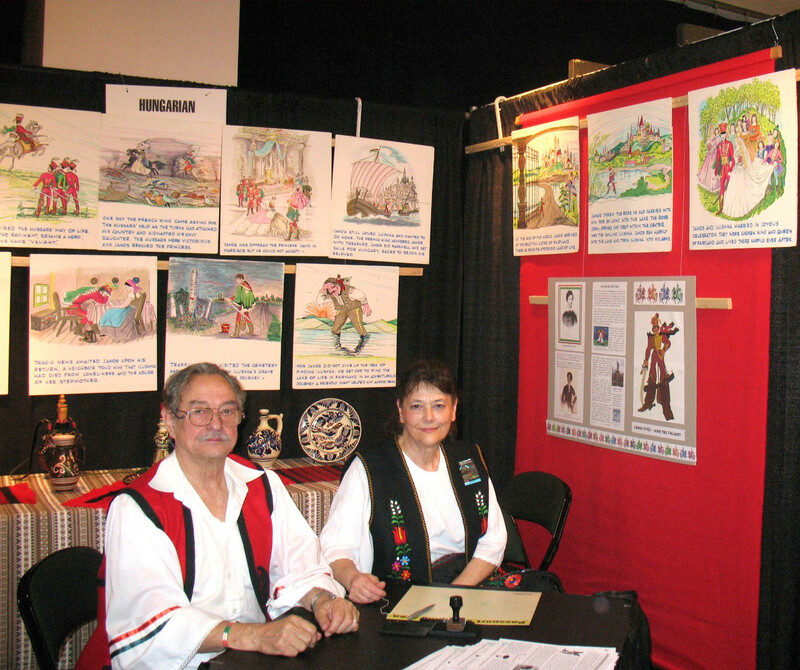 We also thank every attendant, who sat in the Hungarian Exhibit booth talking to visitors, giving out information about the exhibit, answering questions, and get the visitors interested in the Hungarian culture. The Minnesota Hungarians’ Leadership expresses appreciation to the International Institute for providing opportunities for ethnic minorities to partake in these worthy events sharing culture, folklore with others.